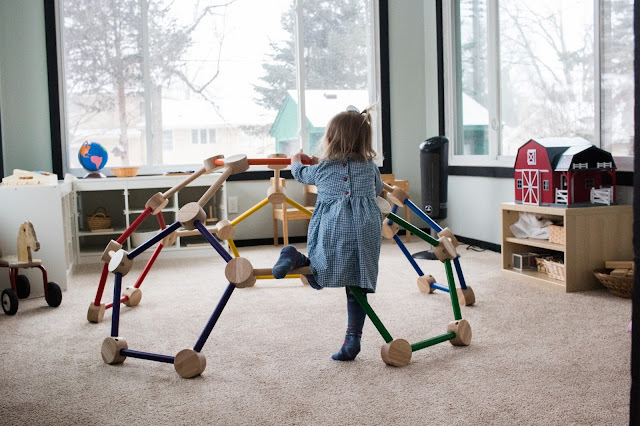 Movement is so important in every Montessori environment -- especially for babies. 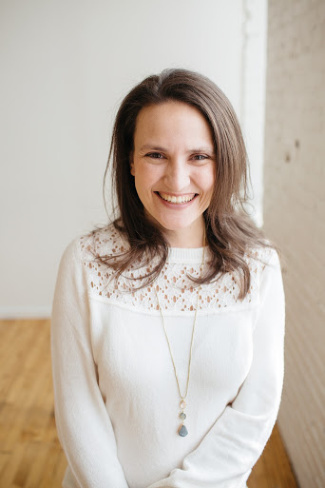 The freedom of movement is an essential tenant in Montessori and its importance really cannot be overstated. 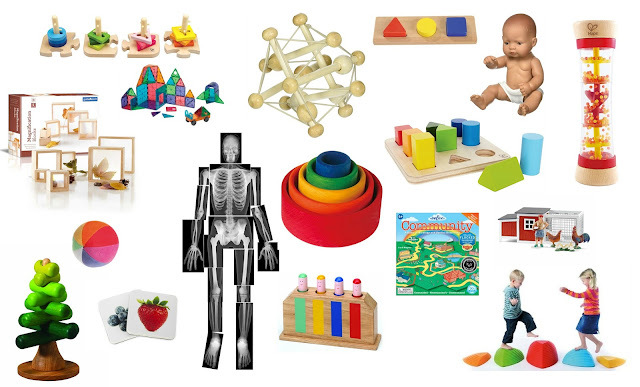 It's through movement that children come to know and understand their environment and themselves. 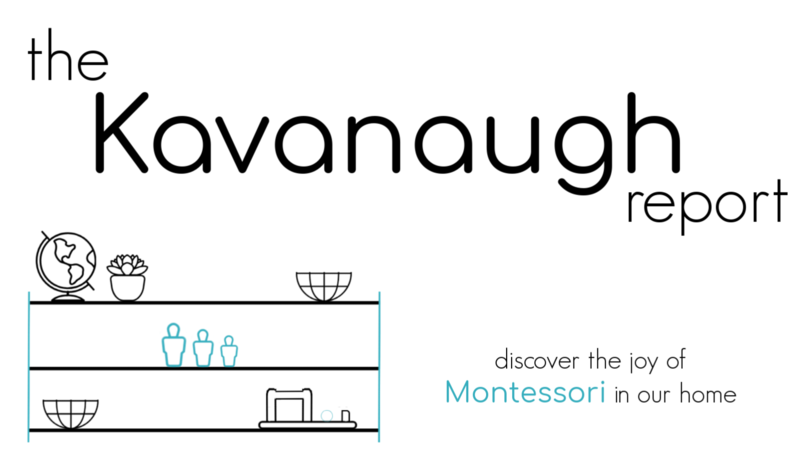 As I've said many times before, we are taking a new approach to movement with Augustus that is more in line with both Montessori and RIE. We have avoided placing him in positions that he is unable to get into on his own, including sitting him up or propping him to sit. But, this didn't just end when he could finally sit up on his own, but it continues now as he is learning to walk. By avoiding placing a baby in a position that they cannot get into, you are helping to keep them safe. They are much less likely to get hurt when they got themselves into a situation. Also, your boosting their control, their self confidence, and truly following their own path. This method avoids skipping steps and really gives a baby incredible control. It's been awhile since I've updated about Gus' gross motor progress. Augustus was born with torticollis and low muscle tone and has needed physical therapy to overcome the physical challenges this has presented. But, he's done it. He is officially "caught up" according to doctors -- not that their timeline mattered much! And, Augustus is learning to walk. 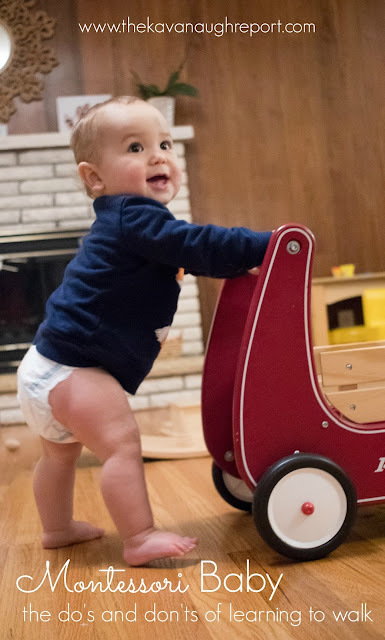 It's been kind of nice to have a baby that is still crawling at 11 months since my other kids walked well before this. But, we will continue to follow his path and let him take his time! He knows what he needs more than we do! How have you supported your baby's freedom of movement? How have you supported walking? 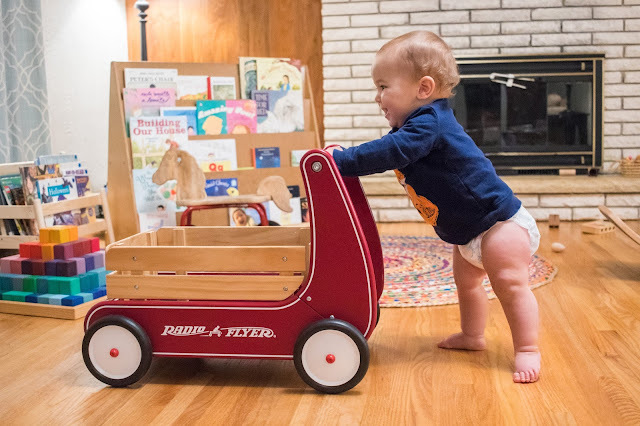 I'm not sure how this Radio Flyer Walker Wagon is in any way different than a walker or having mom and and dad hold him by the hands and walk around the house. The Radio Flyer is just one example of a walker that supports the freedom of movement by letting a baby take the lead, but it's not the only option. I personally like it because it is super sturdy and doesn't tip when a baby pulls up. 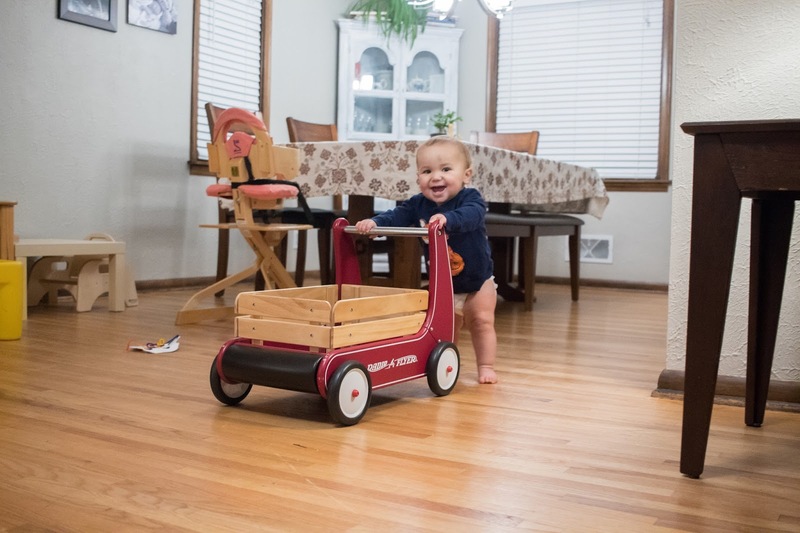 The wheels are also slowed so that it doesn't move too quickly away from a baby. 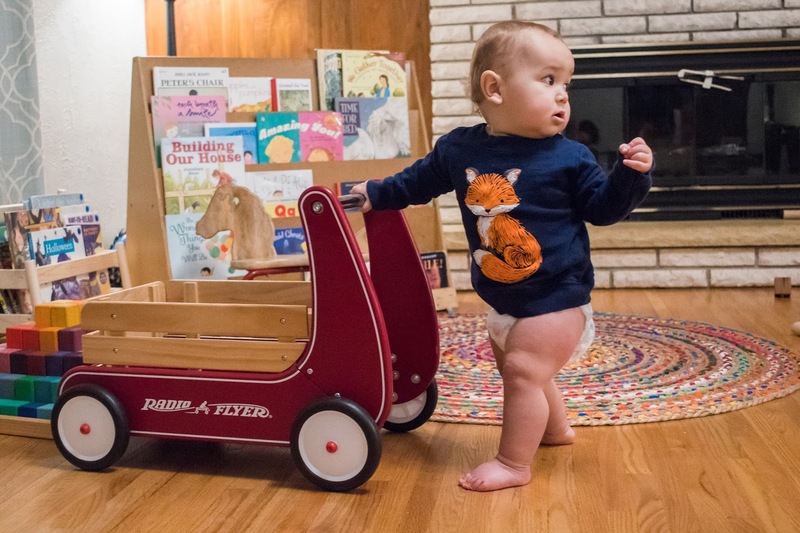 I also like the large wagon that can be weighted down and used for years to come by toddlers and preschoolers.